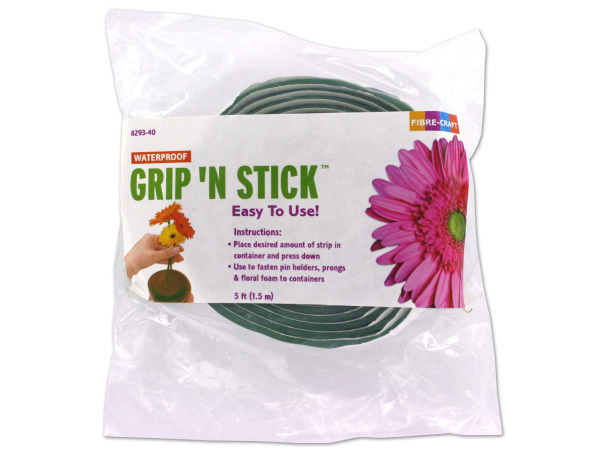 This waterproof tape is ideal for fastening pin holders, prongs and floral foam to floral containers. 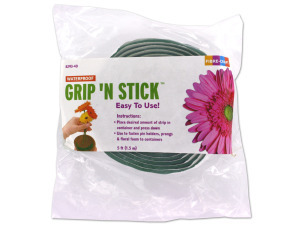 Simply place the desired amount of tape in a container and press down. Peel off backing. Roll includes 5 feet of tape.